Having an opportunity to learn more about the founding of a city makes our visit that much more special. 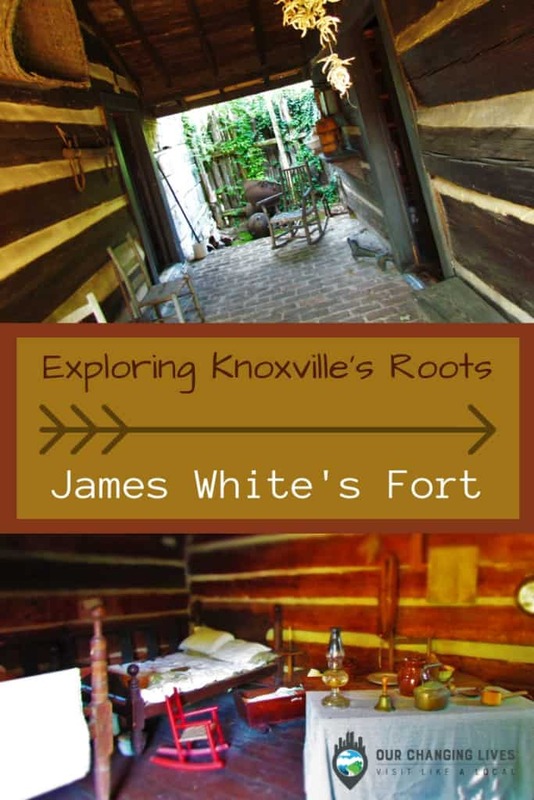 James White Fort is the birthplace of Knoxville, Tennessee and was located close to our hotel in downtown. While the original arrival of White occurred in the early 1780’s, this site wasn’t restored until almost 200 years later. Once we arrived in Knoxville, this made a good first stop, since it sits just a couple blocks from our downtown lodging. We were excited for a chance to explore Knoxville’s roots, before striking off into the downtown district. We would like to thank Visit Knoxville and James White Fort for their hospitality. Rest assured all opinions are our own. After serving in the Revolutionary War, James White had earned a land grant of 1000 acres. In 1783, White led a scouting expedition into what is now known as the Tennessee Valley region. 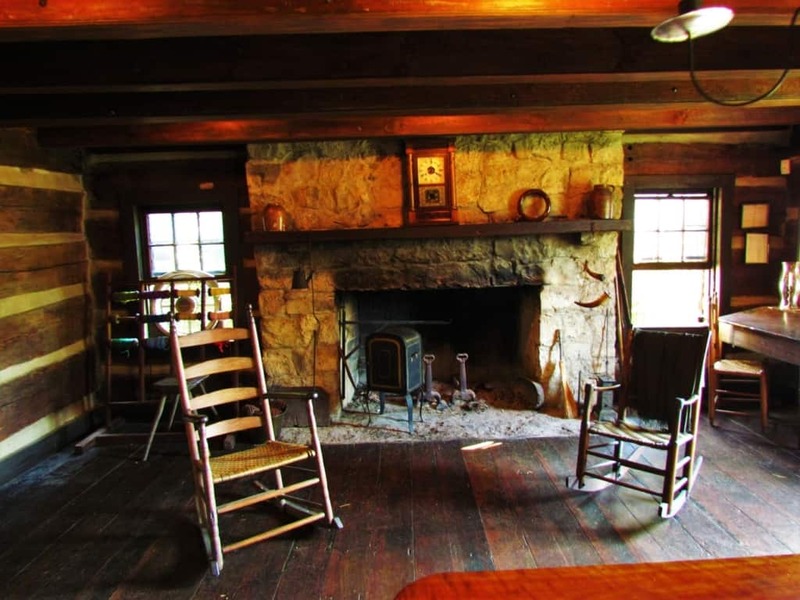 He returned to the area that is now Knoxville, and eventually built a two-story log cabin in 1786. Having made friends with the local Cherokee Indians, he traded goods with the tribe. The lands around his home were cleared for the growing of crops, which included vegetables and tobacco. Within a couple of years, he had built a collection of structures and felt the need to fence them in for protection from wild animals. The courtyard served as a stable for the domesticated animals. In 1791, James White partitioned off a portion of his land to form the town of Knoxville. He named the new city after Henry Knox, who was Secretary of War under George Washington. With the help of his son-in-law, Charles McClung, they laid out the plot of the new city. These half-acre lots were sold for $8.00 each under a lottery system. This was designed to ensure people from all demographics would have an equal chance of ownership. Tennessee would become the 16th state of the Union in 1796, and Knoxville the capital. 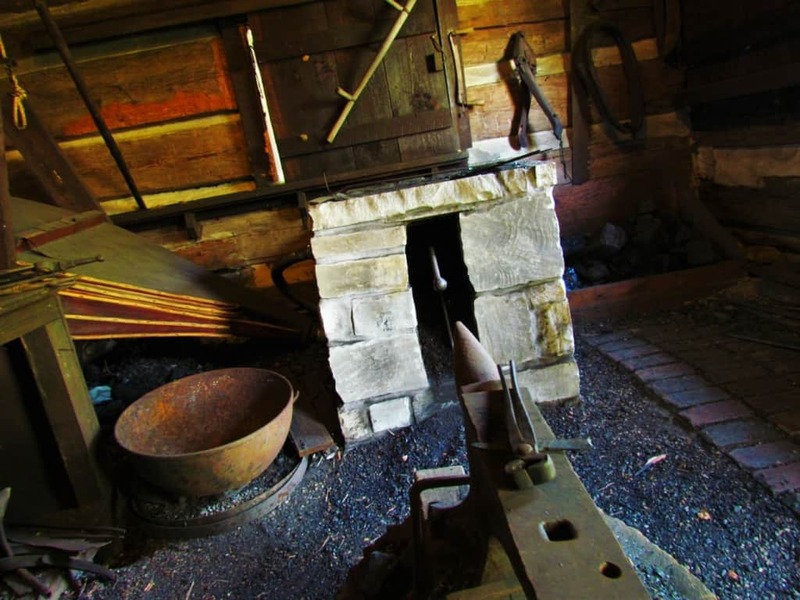 When James White constructed the original two-story cabin, it was not without luxuries of the day. The chimney was made with dressed stone, and all of the windows contained glaze glass. These were rare to find in a frontier setting. 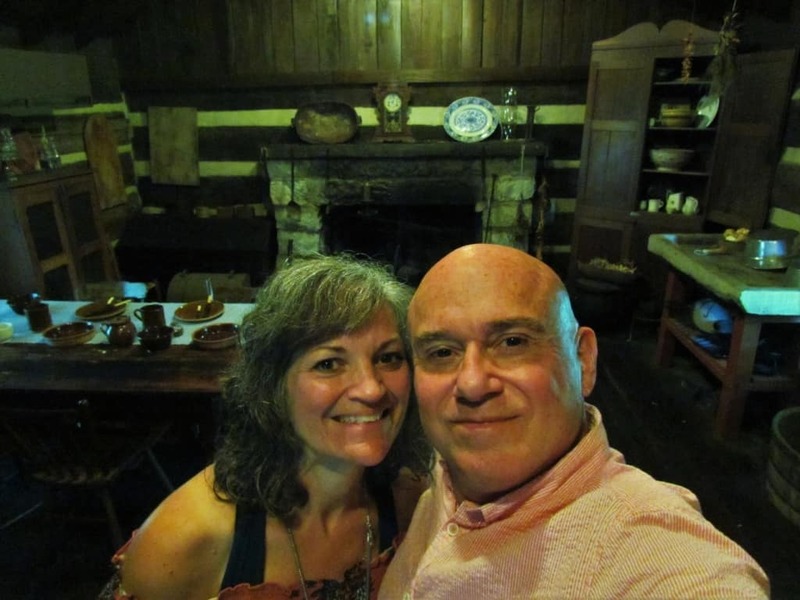 With seven children, plus the two adults, they needed the room the cabin afforded them. White’s open door policy with the local natives meant that on any given night there might be another 20 to 30 people staying within the walls. It was quickly apparent that expansion was necessary. A couple of years after completion of the original structure, construction began on additional buildings. The first was a kitchen to serve the family and frequent visitors. 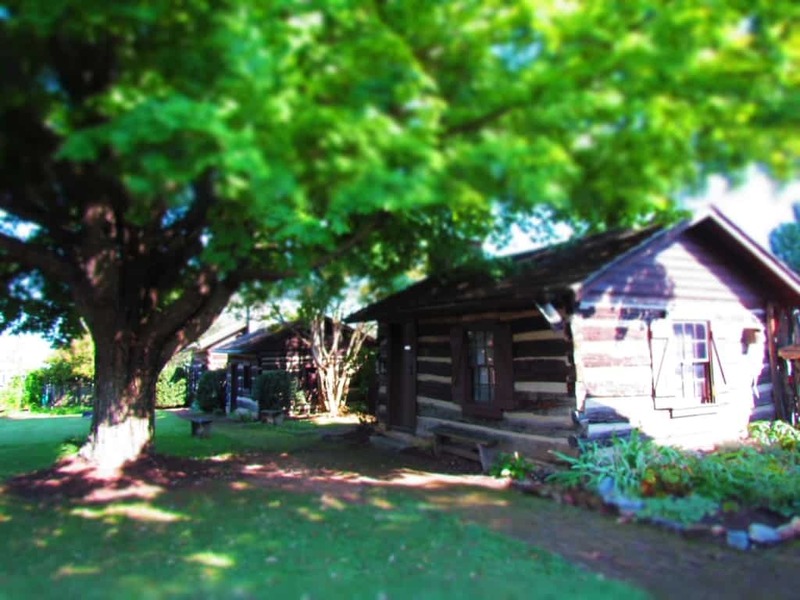 More cabins were constructed, but these were simpler, single-story structures. By the time the construction of the fence was completed, there would have been up to 100 people on site on a given night, as well as a menagerie of animals in the courtyard. While touring the buildings, we tried to imagine the sight of this crowd. We are sure that every possible inch of floor would have been needed to host such a large number of people. Of course, in those days families were quite a bit larger, so 100 people may have only been 10 or fewer families. Passing through the buildings you can almost feel the age of the wood. Except for doors, windows, and the roofs, most are original from the 1700’s. When you think of the changing seasons and significant severe weather, it made us realize the care that went into the construction. 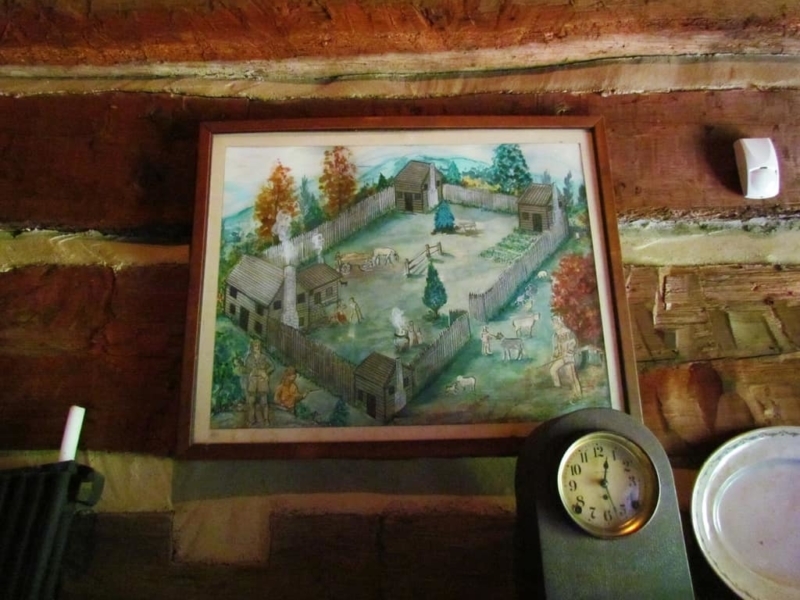 Inside of each building, staff has assembled a variety of artifacts that would have been common to the frontier days in which the White family occupied the compound. Our minds could imagine the family members rising before sunrise to begin the day’s chores, before a hearty breakfast. The day would have been filled with work activities to sustain the family through the year. After a smaller evening meal, bedtime would have been around sundown. After Tennessee was assigned status as a state, James White was elected as a brigadier general for the surrounding district. He also served as state senator for a short period. Having been a successful land speculator, White had amassed large tracts of land. While he was a shrewd businessman, he was also a kind philanthropist. He donated the land that would be used to construct Knoxville’s public buildings. He also helped establish Blount College, which would eventually become the University of Tennessee. In 1800, White moved out of the city to his country estate to the east. During the Creek War, which coincided with the War of 1812, James White was called back into service for his country. With our visit to James White’s Fort completed, we were ready to strike out into downtown Knoxville. We were armed with a knowledge of its origin, that exploring Knoxville’s roots had provided. The names we had heard during this visit would replay in other stops we had on our schedule. We find it fun to be able to connect the names of streets, building, and businesses with the history we have learned. It just helps us better understand how everything correlates. So how many of you like to start your visit to a new destination with a history lesson? Share this with a history buff!